Wanna go to a whole bunch of openings in DC tonight? In fact you can go to a whole bunch of them, as it is First Fridays and the Dupont Circle area galleries are having their openings and extended hours. 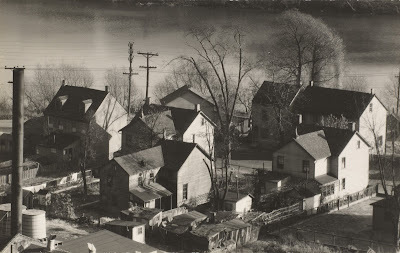 While there make sure that you check out the Caos on F Street gallery collective to see David Harp: Photography, Michael Berman: Mixed Media and Matthew Falls: Furniture. Also "A Cast of Characters" - A survey of kiln cast and lamp worked glass as seen by the instructors and studio artists of the Washington Glass School. Reception tonight, Friday, April 3, from 6 to 8 pm at Foundry Gallery (1314 18th Street, N.W., 1st Floor, between Massachusetts and N Streets, just off Dupont Circle). "Space, Unlimited" shows us just how terrifying it is to be an artist right now. In nearly all the show's pieces -- and there is one self-assured exception -- we sense a waking terror at the long shadow of art history. With so many Titians and Mondrians behind us, how to carve the road forward? Beat them or join them? Read Jessica's review here and then go to the lecture by my good friend and co-curator Laura Roulet on Sunday, April 5 starting at 3PM at the Art Museum of the Americas, located at 201 18th Street, NW in DC. Look for a discount fare on the Amtrak Acela (tip: board the no-cellphone “Quiet Car”). Rate-surf for the New Yorker Hotel, an architectural classic one block from Penn Station. It completed a massive renovation in time for the economic bust, so you can get a bargain and colossal views. Next, buy a $74 CityPass that gets you VIP admission at a bunch of iconic venues, and a $7.50 FunPass for 24 hours of unlimited subway riding on days you don’t feel like walking, although walking’s easy from this central location. 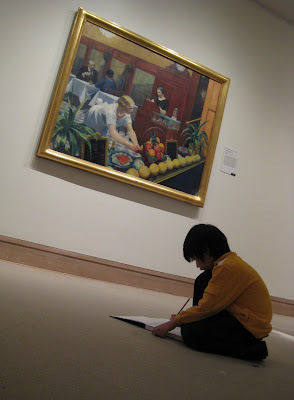 "Six-year-old emulating Edward Hopper! His own choice, said his mother." 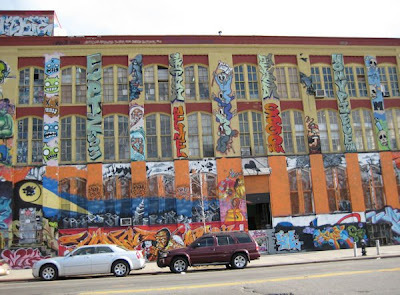 "Cheerful New York Graffiti in Building near P.S. 1"